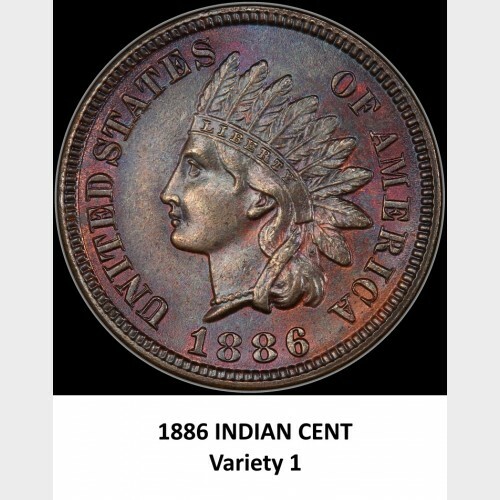 So, the Indian Head Cent, after a few problematic years of its early production, became a fixture in daily commerce of mid-19th century America. 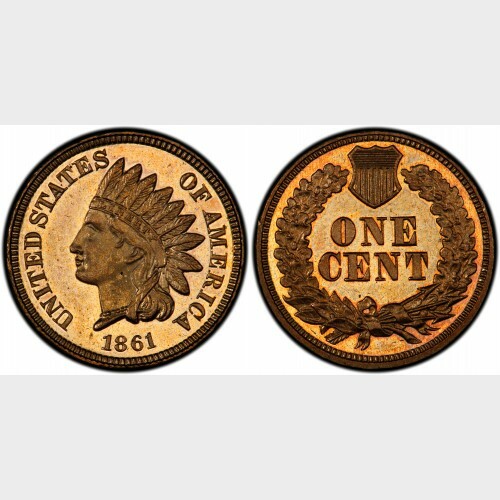 Large cents, Flying Eagles, and Civil War tokens faded into memory to be resurrected in later years in small accumulations of family memorabilia that are still with us, but in a different context. James B. Longacre, the long-suffering Chief Engraver at the mint in Philadelphia, had diligently weathered the growing pains of the transition to a modern coinage, whose “French Bronze” alloy, that he inaugurated in 1864, remained the standard for US cents through 1982. Later in the year, a small letter “L” appeared on the new 1864 bronze cents, on the ribbon of the headdress. I honestly don’t know if this was Longacre’s idea or someone else’s. Probably not an Act of Congress, but well deserved in any case. The transition from large to small cents, radical change in alloys, and the adjustment of the equipment and procedures was likely no small project. Longacre passed away in 1869, well before the key date of the series was struck in 1877. 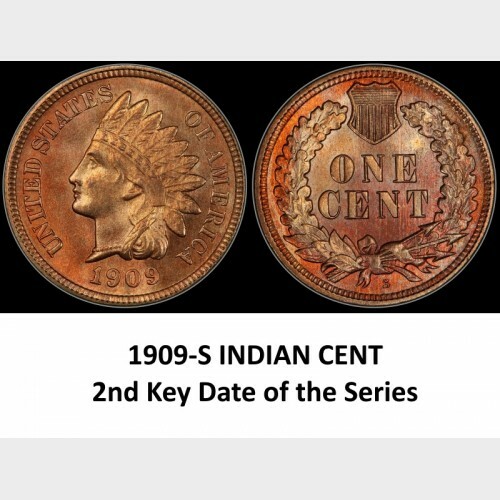 Key dates are usually lower mintage dates, and the 1877 was made in fewer numbers than any of the Indian Cents except for the 1909-S in the final year of production. 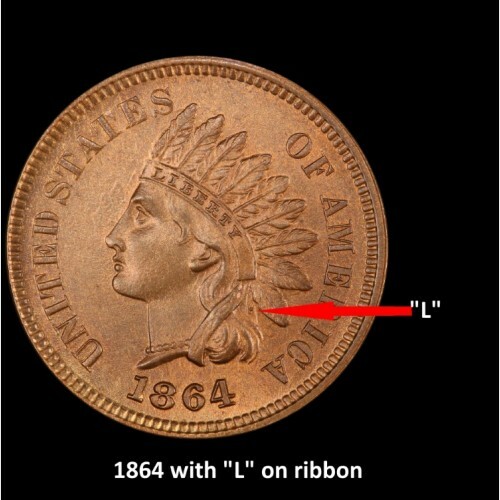 And, there is a strong connection to the low number of 1877’s produced (852,500 pieces) to Longacre’s transition to the bronze cent in 1864. Once again, the legal tender of one cent coins surfaced – this time because the bronze cents were intrinsically worth so much less than their face value. Remembering that people in the early to mid-19th century took it as a matter of course that their coins contained metal nearly equivalent to their face value, they were surprised when the Mint Act of 1864 let them know otherwise by limiting the maximum use of bronze cents to 10 pieces per transaction! The Mint Act of 1871 was an effort to mitigate this situation by allowing unlimited redemption of these coins by the banks, along with other coins not in favor with the public. So, the pennies began to back up at the banks in a big way. Sacks and sacks of them, along with the many old large cents, the unpopular 2 cent bronze and 3 cent nickel coins that were brought out in 1864 and 1865, respectively. The banks were required to redeem all of these in unlimited quantities. In remaking the master hub, Barber moved the last feather of the Indian headdress slightly lower. This feather on hubs since 1864 had pointed between the I and C in AMERICA (Variety 1.) On Barber’s adjusted hub the feather points between the C and the A (Variety 2.) The second variety is somewhat rarer. 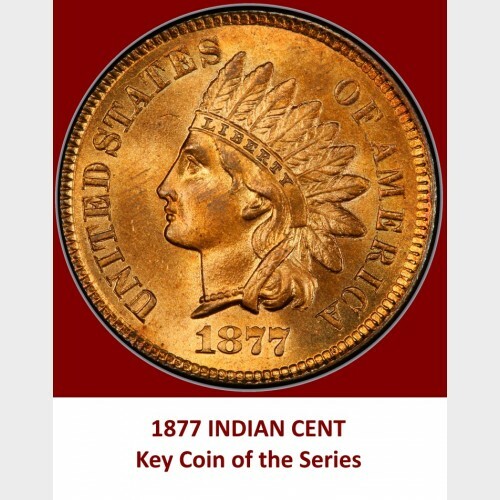 For the proof coins of that year the high-grade coins of Variety 2 are quite scarce. 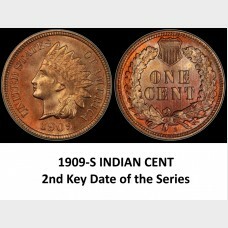 The second rarest of the Indian Cents is the 1909-S. San Francisco struck a portion of the cent production in 1908 and 1909. 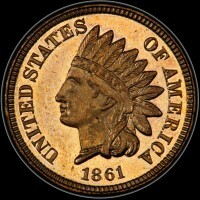 In 1909 the Lincoln cent was coming in and production of the Indian cent was consequently only 309,000. 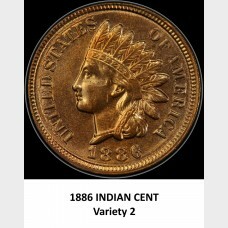 Photos are provided for each of the coins discussed, courtesy of PCGS. After a short two years of minting the first small cents, the ones with the well-known flying eagles, James B. Longacre was called upon to come up with a new design that would hopefully mitigate the production issues: weak strikes, fast wearing dies, and over-stressed coin presses.